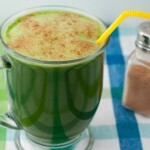 Green juice with cinnamon and ginger is the perfect way to ring in day 2 of my juice fast. If you have a ‘low’ setting on your juicer, begin with the softer veggies first – spinach, lettuce and cucumber. Then turn to ‘high’ and juice the celery, apple, and ginger. 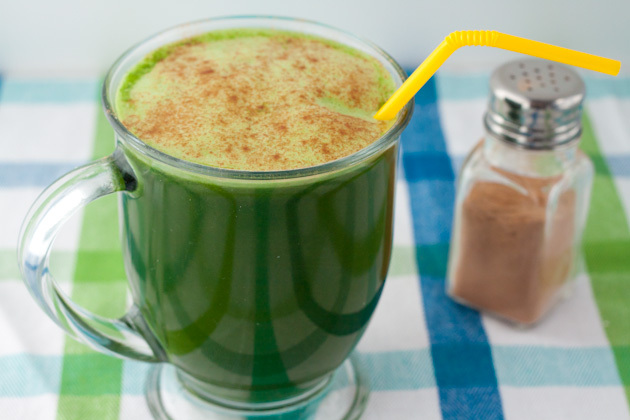 Transfer the juice to a blender, add cinnamon and stevia and pulse for a couple of seconds to break up the cinnamon.